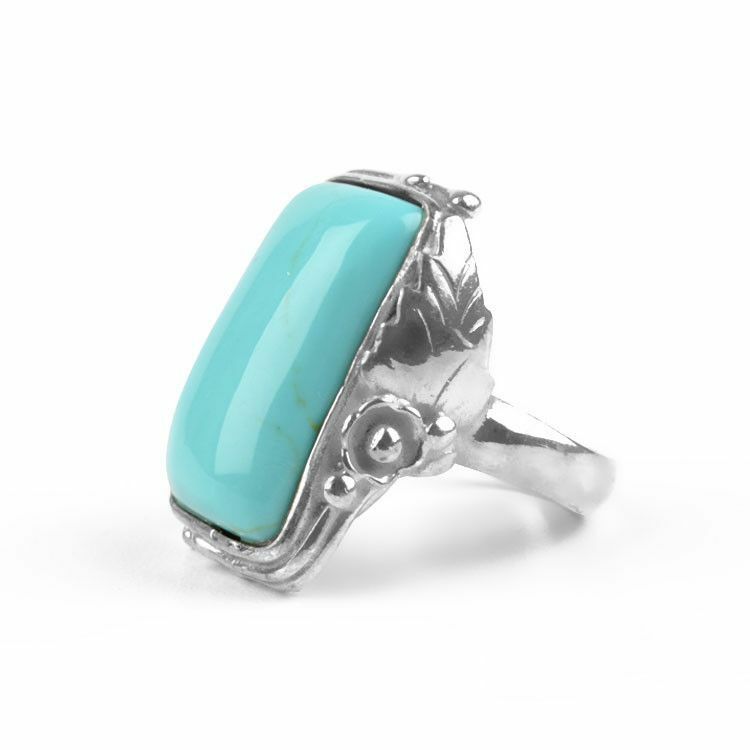 This fantastic ring features a genuine rectangular turquoise stone that is about 1" long and just over 1/2" wide. 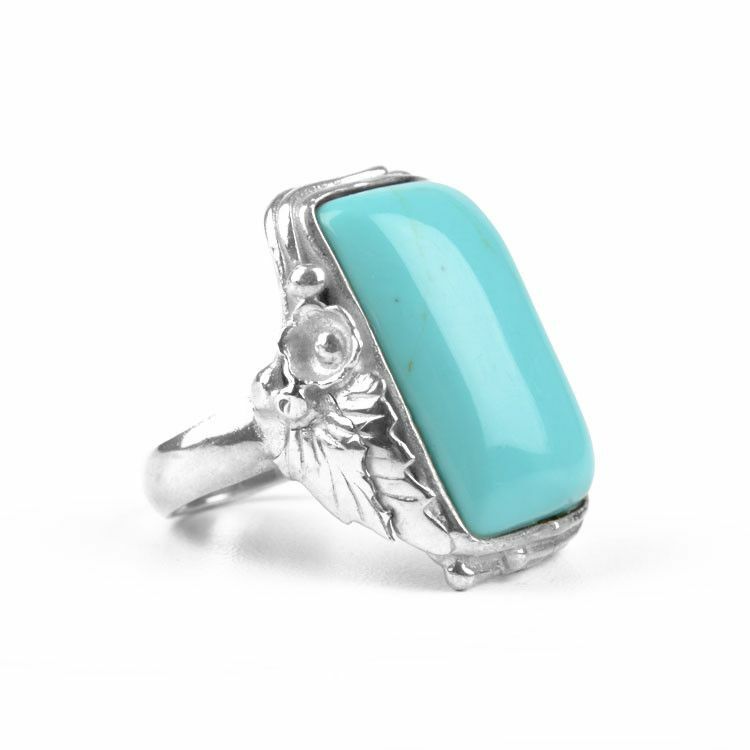 The blueish gemstone is surrounded with a lovely sterling silver framework that consists of leaves and flowers. 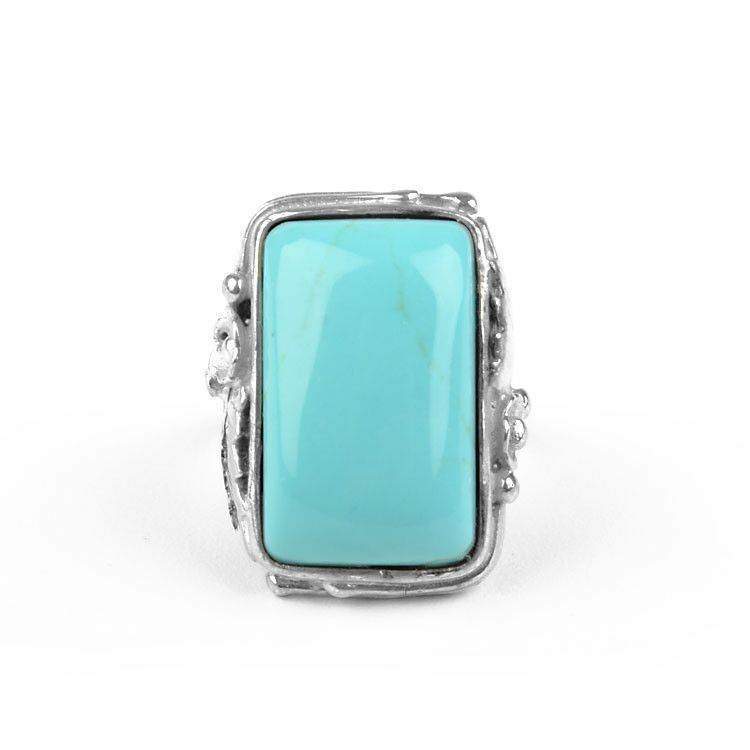 This ring was crafted by hand and is an excellent jewelry option for one who loves turquoise or fairly large rings. 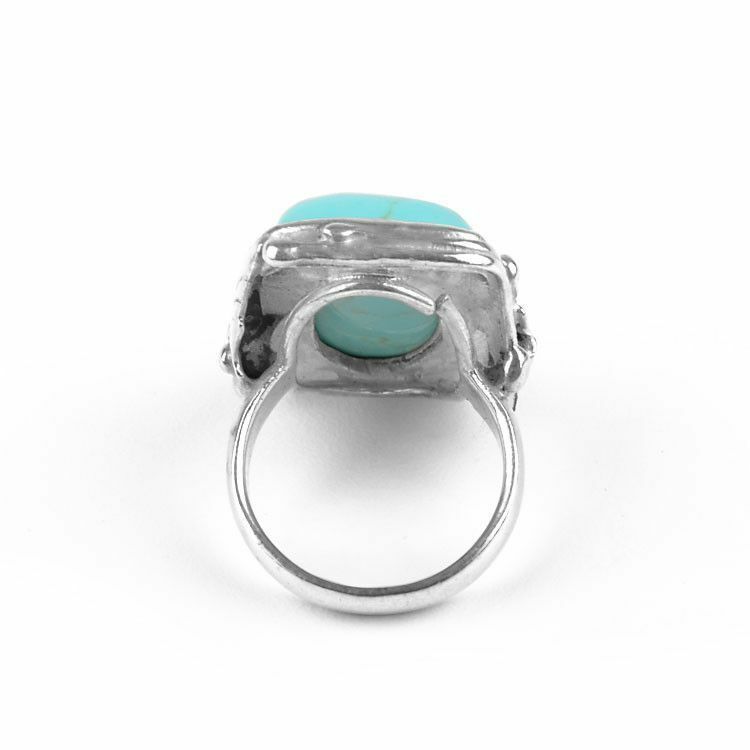 Face is about 1 1/8" x 7/8"